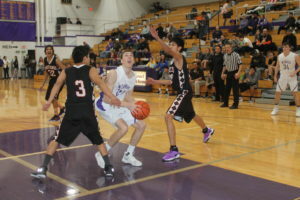 Winner boys basketball team was clipped by Platte-Geddes 63-60 on Feb. 13. Brandon Volmer and Shea Connot both scored 16 points. Joren Bruun and Brady Fritz both added 13. Connot pulled down 11 rebounds and Volmer 6. Bruun and Connot each had 5 assists and Fritz, 4. Winner boys basketball team won a 51-42 victory over Mobridge-Pollock on Friday. Brady Fritz scored 29 points, Brandon Volmer, 12 and Nolan Sachtjen, 4. Rebounding leaders were Fritz, 8; Volmer and Shea Connot with 7 each.